ICC World Cup 2019: Who should be India's No. 4 batsman from the 15 that have been selected? All the drama and the debates regarding the selection of the Indian squad for the World Cup 2019 have come to an end as the selectors have announced the final 15 who will be flying to England to represent India for the mega event. Although most of the players were certain to hold their spots, there are some surprise selections too. 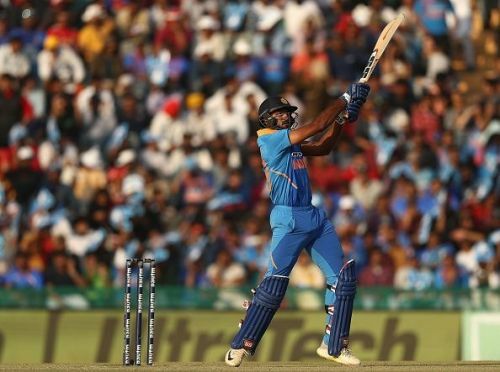 Dinesh Karthik's experience edged out Rishabh Pant's talent, while Viay Shankar's selection has shown Ambati Rayudu the door. Ravindra Jadeja too has made it to the squad in place of the fourth seamer. The team looks balanced and the players are expected to perform their best, giving tough competition to each of their opponents. Is Vijay Shankar the new No. 4 for India in the World Cup? India's No. 4 conundrum has been the talk of the town in recent times. Plenty of players were given a rope but no one was able to perform consistently to seal the spot. That was until Rayudu played some impressive innings in Asia Cup 2018 and the ODI series against West Indies that followed. Even skipper Virat Kohli then hinted that the team management and selectors had zeroed in on Rayudu as the No. 4 batsman in the World Cup. However, a string of poor performances against Australia and New Zealand (including the home series against Australia) put Rayudu's No. 4 position in question. The rise of Vijay Shankar as a batting all-rounder made the situation for Rayudu even worse, costing him his World Cup dream. Although the selectors have said that Shankar will be the first preference for the No. 4 slot because of his "three-dimensional" skills, one cannot deny that there are plenty of players in the squad who are capable of batting in that position. The Indian team management often surprises people with sudden shuffles or inclusions in the batting lineup like introducing Rohit Sharma as opener or Dinesh Karthik as No. 4 in Champions Trophy 2013, both of which proved to be very successful. Even Head Coach Ravi Shastri said that he would shift Kohli to No. 4 if required. So it seems there is a good chance that someone other than Shankar will be coming to bat at No. 4. Shankar is a new arrival in the international arena, so it may not be safe to gamble on him at No. 4. A better option would be to send MS Dhoni at No. 4. 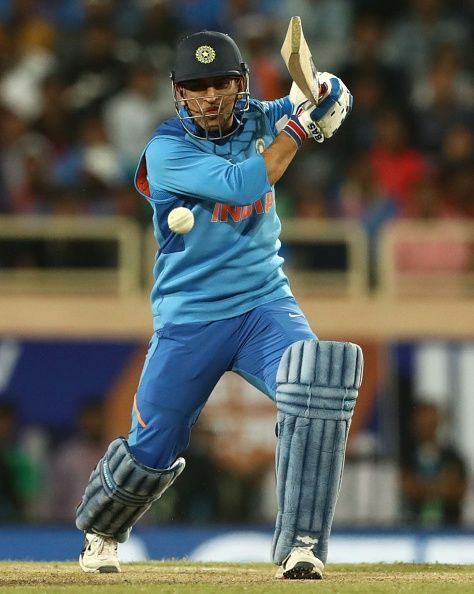 Although Dhoni has been playing the role of the finisher in ODIs for more than a decade now, we cannot overlook the fact that his ability to score quickly right after coming to the crease has declined. Dhoni now takes time to settle in and accelerate in the later part of his innings, which may not be ideal for the finisher's role. But his ability to arrest the slide when India lose wickets in quick succession and keep the scoreboard ticking with singles and doubles make him a perfect candidate for the No. 4 slot. He can steady the innings and accelerate later, just like his match-winning innings in the 2011 World Cup final. With Dhoni at No. 4, Kedar Jadhav at No. 5 and Dinesh Karthik or Vijay Shankar at No. 6 playing as the finisher, India will have a solid batting lineup. We will have to wait till 5th June to find out who the team management will entrust to walk out at No. 4 for India in the World Cup. ICC World Cup 2019: Who will be India's No. 4?